Less than a decade ago, only 35% of Americans owned smartphones.1 Now that number is up to 77%, with a vast majority of Americans owning a cellphone of some kind (95%).1 Cell phone ownership is normalized to the point that it is a necessity, just like home utilities and groceries. And just like those obligations, usage comes at a cost. According to a recent J.D. 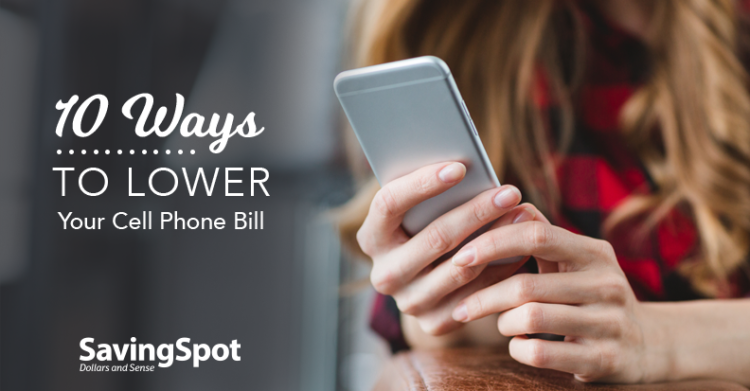 Power report, the average monthly cell phone bill with unlimited data is $157 — that’s almost $2,000 per year! Don’t fret though — there are several common bills you can negotiate or get discounts on, and your cell phone bill is definitely one of them. We’ve compiled 10 simple hacks to chip away at your cell phone bill and save more monthly. Tip 1: Most carriers now prorate termination fees. This means the longer you’re in the contract, the lower the fee. So if you feel trapped by your contract, know you may be able to escape it for less than you think. Tip 2: Served in the military? Senior citizen? Teacher? There are many classifications that can get you discounted service if you qualify. For example, Verizon Wireless offers discounts of 15 – 20% to employees of non-profits. Tip 3: Unsure about the quality of service you’d get by switching to a smaller name brand in cell phones? The “Big Four” (AT&T, Verizon, Sprint and T-Mobile) actually rent bandwidth to smaller companies like Boost Mobile, Cricket and MetroPCS, so you’re getting the same bandwidth for less. Tip 4: Still getting paper statements? Save the environment and your wallet by switching to online statements. Providers have been known to offer a one-time credit to make the switch because it saves them postage! Tip 5: Take your online account activity one step further by setting up autopay. T-Mobile applies a $5 discount per line enrolled in autopay, so if you happen to have a family plan, you can save big! You can also count a secondary savings by never being late and avoiding any additional late fees by always paying on time. Tip 6: Did you know your taxes and fees are based on your zip code? If you’ve made a move, make sure your service address is up to date for accurate savings. Tip 7: Shed the excessive add-ons. Do you pay for premium insurance? Knock it down to standard. Both typically cover lost, stolen or damaged phones, but the premium includes 24/7 tech support and other overblown features you don’t really need. Tip 8: Feel like you are paying more than you actually use? Switch to a pre-paid line. For example, Verizon customers can get 3GB of prepaid data for $40/month or 2GB of postpaid data for $55/month — the difference is clear! Tip 9: If your phone is in good shape, consider a prepaid carrier who charges for new phones up front rather than installments over the length of your contract like postpaid plans. 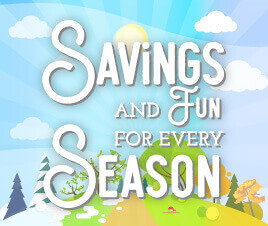 While that may sound more expensive, if you can port over your compatible current phone or buy a used device online, you can easily save more monthly. Tip 10: Add lines for a better overall rate. While this may seem like the opposite of saving, adding more lines will help with the per line cost overall. NerdWallet has a great table demonstrating the monthly cost for one line vs. multiple lines here. CashNetUSA knows that every dollar counts. That’s why we’ve created this guide to lowering your cell phone bill, as well as partnering with some great companies to get you exclusive discounts on everything from dining out to taxes! See what other benefits we offer now.